Happy Spring to everyone! The sun is back and we've deployed our May product updates. Here are the improvements this month! We've revamped and reenabled the Instagram, Flickr, SoundCloud and Vimeo embed codes since a lot of customers were having issues with them. You can now embed any Instagram post, Soundcloud song or playlist, Vimeo video, as well as any Flickr picture, album or slideshow. New: we've implemented a Spotify embed for your favorite songs, albums and playlists. Grab the share URL for your favorite music and check out how to put it in your posts here! New theme: With a beautiful typography and cover photos, our new theme, Renda, will suit any blog that also has rich visual content. New support policy: We’ve implemented a new support policy. We commit to an initial response within 24h on business days, and for any major bugs or account problems, a resolution within 2 business days. Most minor issues are solved within 24h. New: You can now set the number of posts displayed per page for the homepage or tag listings in your site settings! 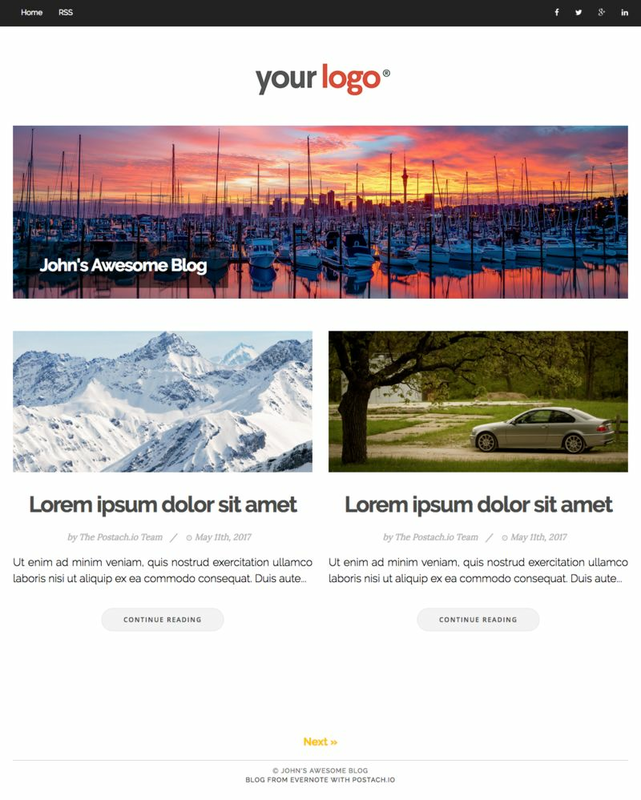 We’ve started test-driving a custom theme development service since this is a request that came in frequently. Send us a line at [email protected] if you’d like more information or would like a quote! Bug fix: We’ve resolved issues with the control panel not detecting the proper site limit for customers on older plans. In progress: We’ve started work on the translation and localization framework and expect to deploy French in June. Thanks for everyone who offered to chip in for other languages, it’s very appreciated and we’ll be in touch as soon as we’re ready for your language! Questions? Feedback? Concerns? Just wanna show off your site? We're always available at @Postachio on Twitter or [email protected] via email. Cheers!